July 17, 2015 (LBO) – Sri Lanka’s Planters’ Association of Ceylon said it will cost 18 billion per year for the industry to pay the 1000 rupees wage hike offer for workers, a statement said. The Regional Plantation Companies (RPCs) recently proposed a productivity linked wage proposal and raise the daily pay to 1000 rupees in order to meet labor union demands. Plantation worker earns 620 rupee wage at present. The association said that there will be no change for the present with regard to the daily remuneration for workers, until consensus is reached on the proposal submitted by the Regional Plantation Companies, enabling the workers to earn their expected daily wage of 1000 rupees. “The Association wishes to highlight that if implemented, the demand of the unions for an unconditional increase of the daily wage to Rs. 1,000 would lead to RPCs incurring a massive Rs. 18,000 million additionally per annum, for the payment of wages and is thus inconceivable with the RPCs already suffering losses up to Rs. 80 per kilogramme of tea sold,” the statement said. 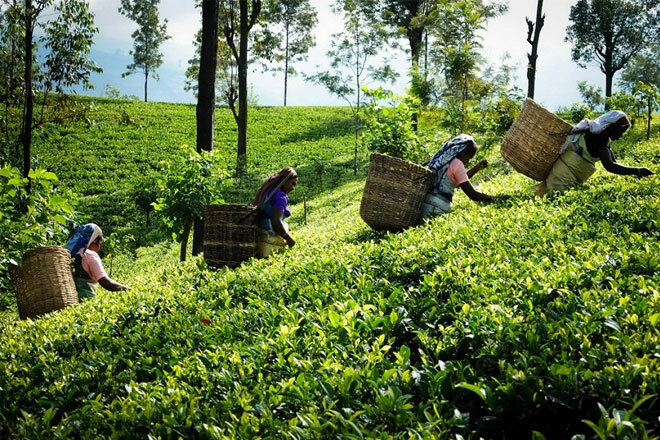 The association also said that there is no agreement who pluck 18kg to 20kg of tea leaves being entitled to receive two full days’ wage for a single day’s work.